11.16.2005 - It's called a housemouse for a reason. Not because these mice are miniature construction workers who build quality residences. Not because they stay at home while their spouse goes to the office. They are called housemice because they like to live in houses - PEOPLE HOUSES! Yes, that's right, mice are classified as commensal rodents, who thrive off of the activity of people. If you like to live in a house, so does a mouse. Do you like the fact that your house is warm and dry? So does the housemouse. Do you like the fact that your house is safe from predators? So does the housemouse. Do you like the fact that your house is full of food? So does the housemouse! Do you like the fact that your house has drywall and wires that you can gnaw on? So does the housemouse. So if there's a way in, the housemouse will make himself right at home with you, like a tiny freeloading roommate. What do you do if you want to get the mouse out of your house? You can't politely ask it to leave, I've tried that. You can't pack it's stuff up in boxes, throw the boxes outside, and change the locks. You can't call the cops (though I've actually known more than one person to try this last tactic). You'll just have to solve the problem from the ground up, or hire someone like me to do so. Here is the plan -First, inspect the entire house, top to bottom, identify the areas of mouse use in the attic, and find any possible entry holes that lead into the house. Second, seal the entire house shut, with steel repairs. Third, set a dozen or more mouse traps on the prime locations in the attic. Fourth, remove trapped mice and reset traps until no more are caught. 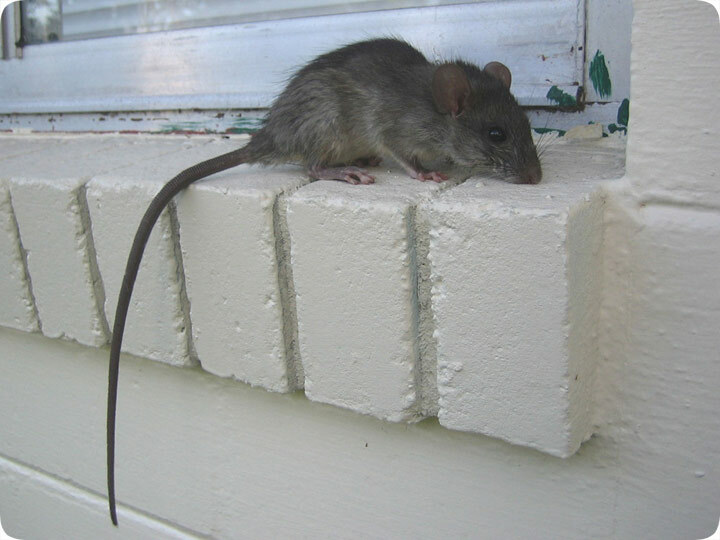 This four-step program may sound simple, but it takes a lot of experience and understanding of mouse behavior and an eye for architectural vulnerabilities that mice can exploit. Do it yourself: Visit my How To Get Rid of Mice page for tips and advice.